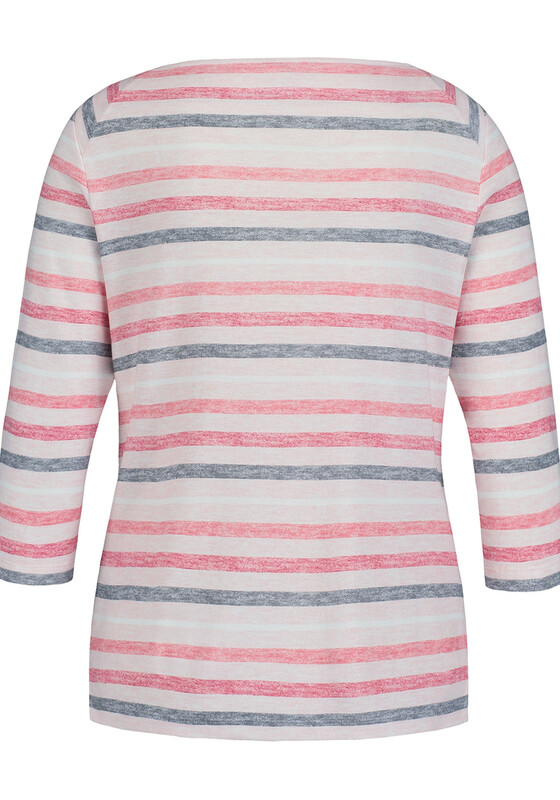 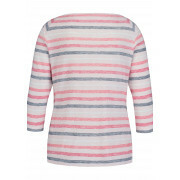 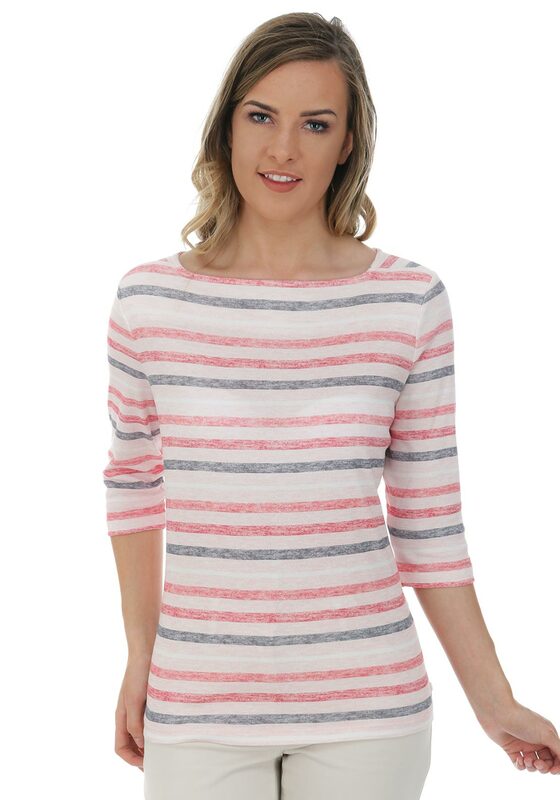 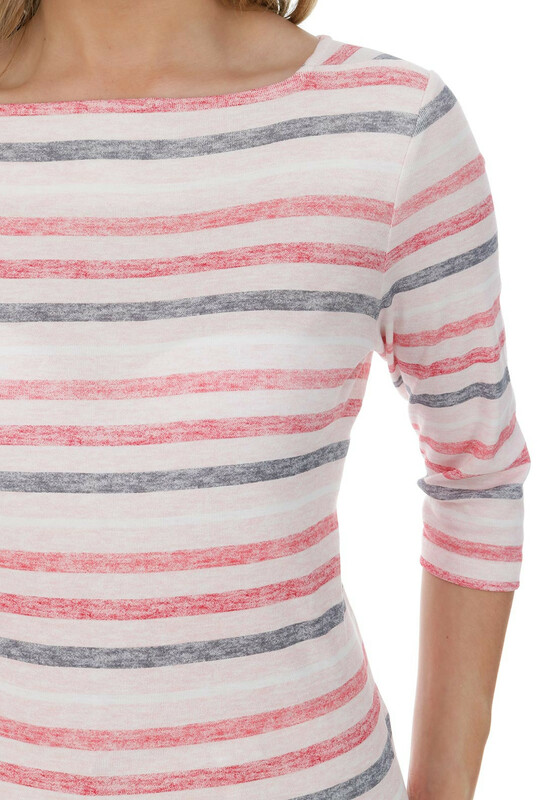 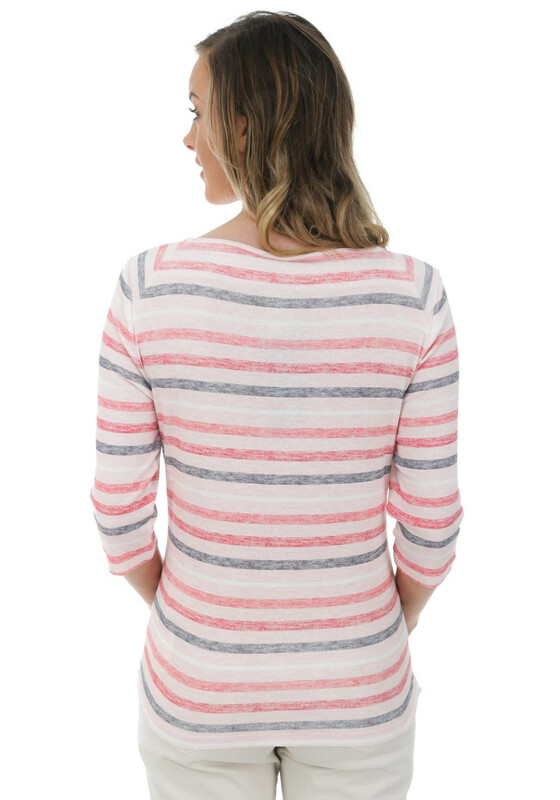 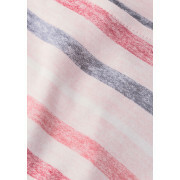 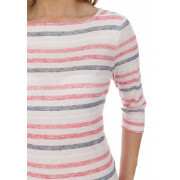 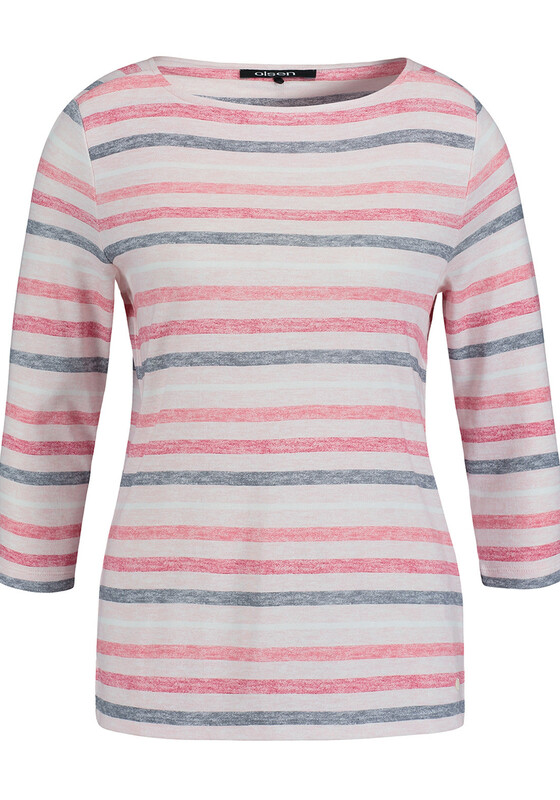 Update your everyday wardrobe with this pretty pink cropped sleeve top from Olsen which features a red and navy striped print throughout. 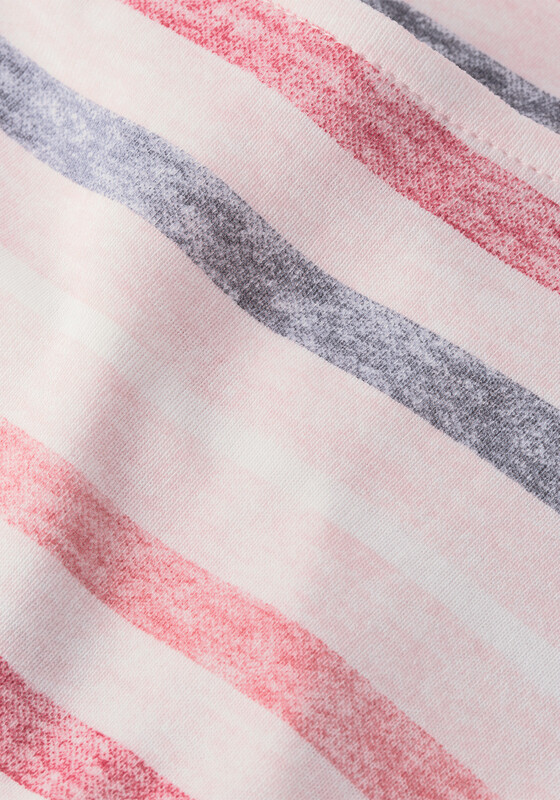 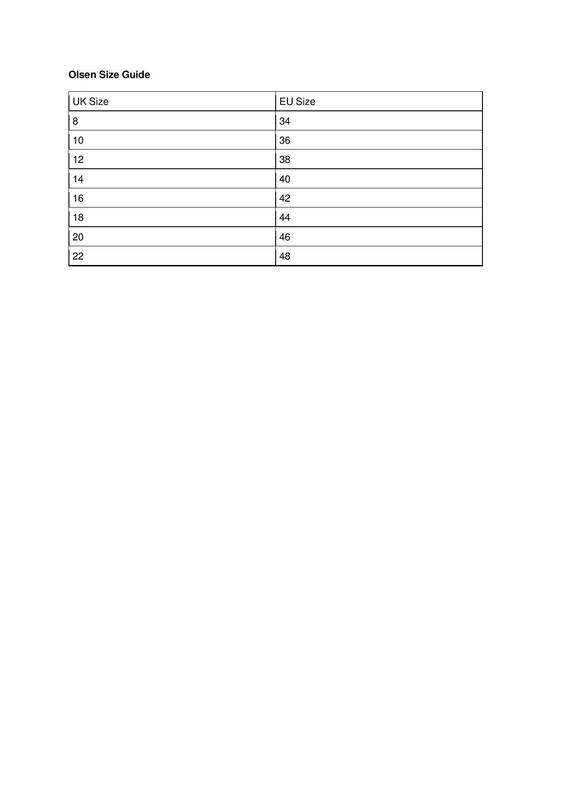 Designed with a classic straight shape and made from soft and comfortable cotton jersey. 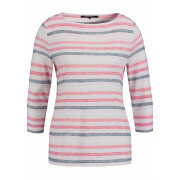 Perfect for wearing with your favourite jeans and boots at the weekend.